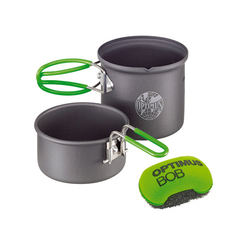 Not only is Optimus cookware easy to operate, but it’s deliberately constructed with durable material that won’t break inside a bouncing backpack. 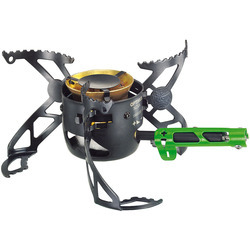 Just the same, its lightweight frame will make packing a stove a nuisance-free activity. Equipped with readily comprehensible cleaning mechanisms and multi-fuel capacity, Optimus Cookware adapts to your needs on demand. 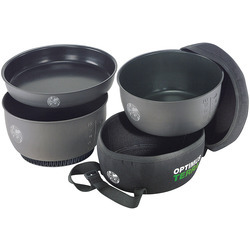 Whether you want to cook a gourmet meal atop a remote plateau or you simply want to heat up some water for Turkish coffee, Optimus Cookware products maintain balanced heat just as well as your indoor stove. 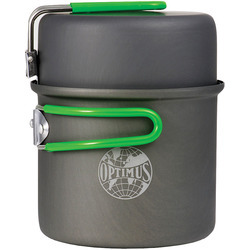 As mentioned before, easily, the most renown of the Optimus Cookware products is the Optimus Nova. 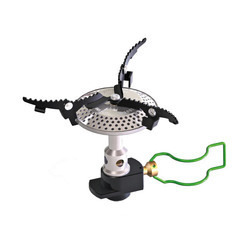 The Nova embodies all the traits discussed above as well as one defining feature that characterize all Optimus Cookware Products—a simple assembly. While the material may be innovative, the idea behind the items is almost as old as the company. Make simple, effective products that will last for generations. 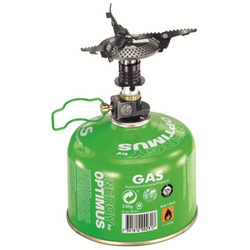 Because of its simplicity, Optimus cookware can be repaired by almost anybody. 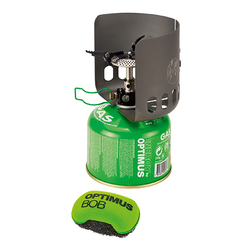 We all know any outdoor adventure can go awry, and while Optimus guarantees the quality of their products, they can’t promise they won’t break when under unnatural duress. 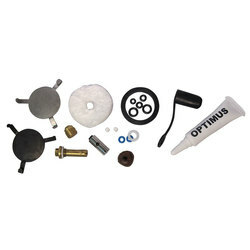 Consequently, the Optimus Nova & Nova + Repair Kit was born. March confidently into the wilderness with the knowledge that you have the necessary tools in case of an emergency. 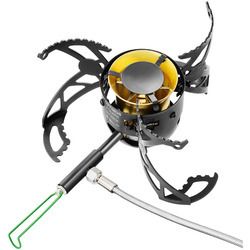 Those folks from Sweden offer an Optimus Spare Parts Kit Light for Nova and Nova+ as well. While this may seem like a trivial piece to the vast narrative that characterizes Optimus, its symbolism is significant. No company thrives for more than a century without an unwavering commitment to customer satisfaction. 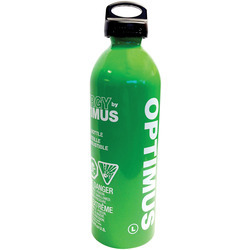 At Optimus, you won’t find flashy gadgets and unnecessary tools sold under the guise of convenience. Instead you’ll find award-winning craftsmanship from a company with a simple mission statement: to supply you with efficient materials which can make your outdoor experience more satisfying and more memorable.